Siege of Leningrad Bow is delivered in individual packing (12 cm * 19 cm) with a nested clip (pin). Annually in St. Petersburg there is an initiative dedicated to the complete liberation of Leningrad from the fascist siege. For the city residents, this event is another opportunity to express our deep respect and gratitude to our ancestors, who made a great feat during the siege. 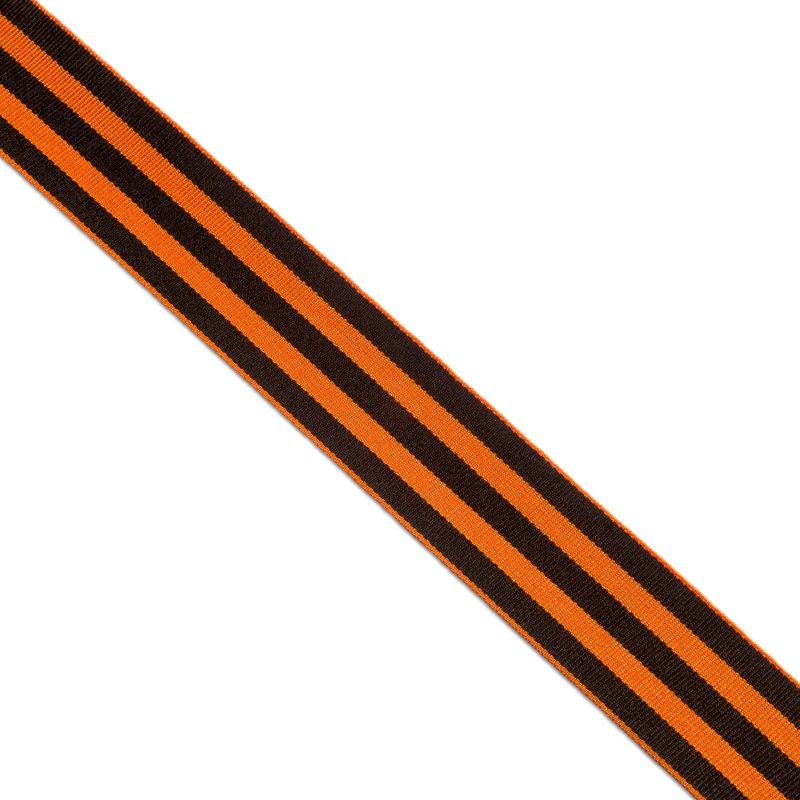 Our company produces a Siege of Leningrad ribbon not only in rolls and in cutting, but also invites you to purchase it as an accessory Siege of Leningrad ribbon bow. The advantage of this product lies not only in its uniqueness and attractive appearance, but also in the convenience of use. Attachments to the clothing (pin) are already attached with the accessory. 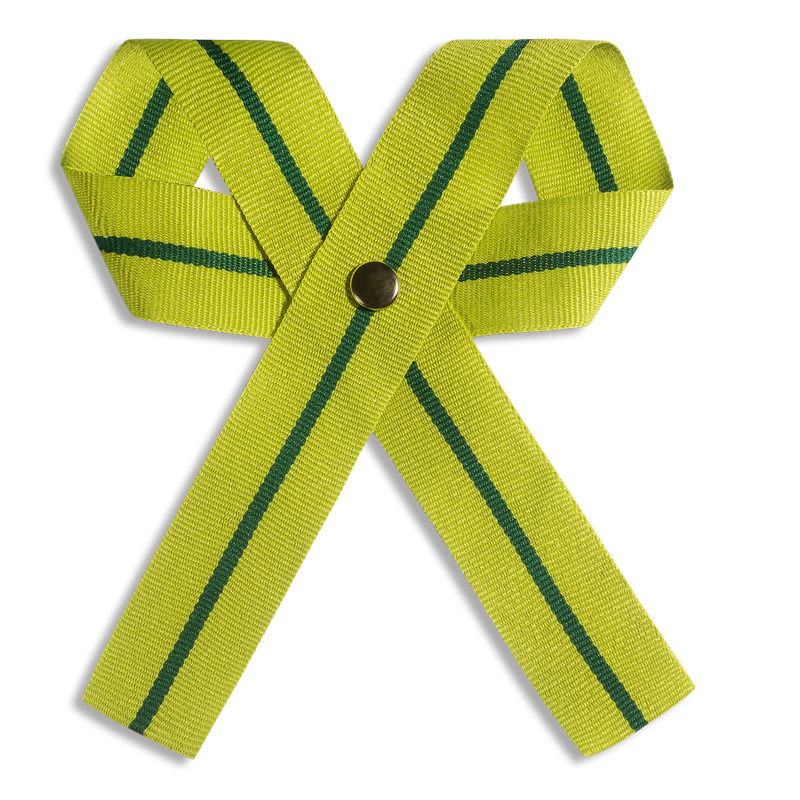 It is made of strong polyester thread, colored in olive and green color. 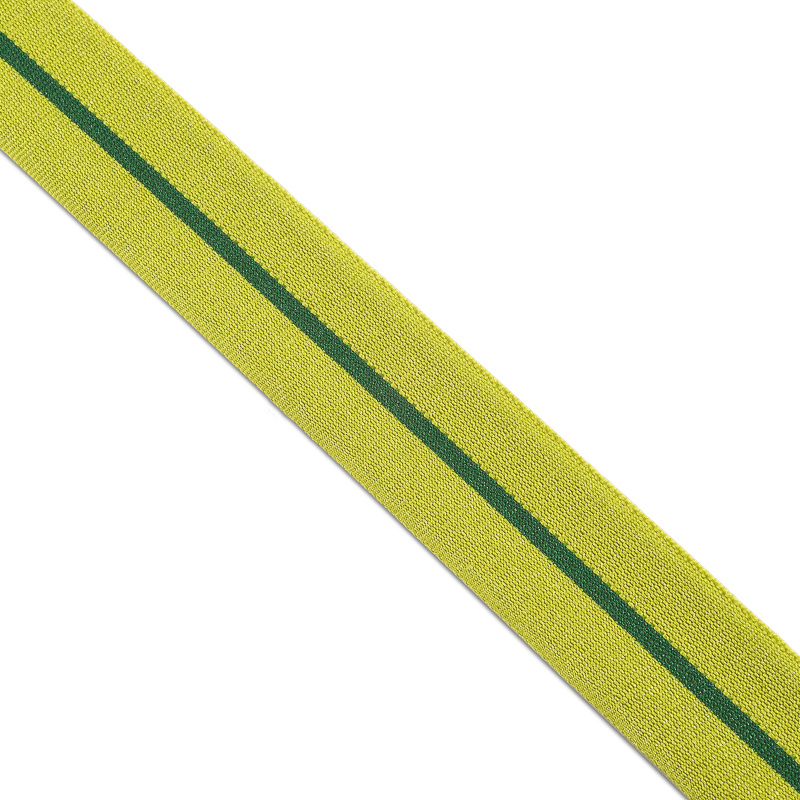 Parameters of the block ribbon: width – 24 mm, thickness – 0.38 mm. 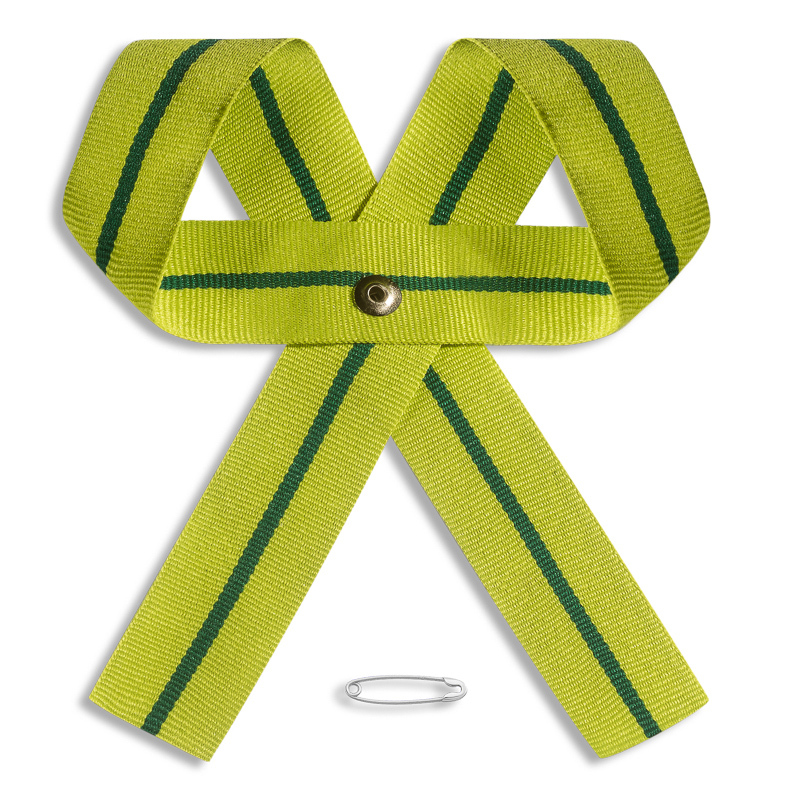 Siege of Leningrad ribbon bow forms two identical loops and is fastened with metal rivet and burr. For buying a Siege of Leningrad ribbon you can leave an order on our website or by calling one of the phones listed in the contacts.